LRUT – Long Range Ultrasonic Testing : ANS technicians offer Long Range Ultrasonic Testing – LRUT has been employed for screening piping systems above ground as a result of the high production coverage rates as opposed to manual techniques, but it still remains the only reliable technique for screening pipe systems underground or underwater where access is often limited or very costly to gain access for manual contact techniques. The technology continues to be improved and the number of applications utilizing this system has greatly expanded. 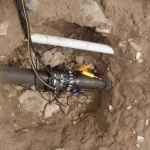 LRUT – Long Range Ultrasonic Testing : the technology operates by placement of an array of probes placed in a belt, circumferentially wrapped around the pipe being inspected. The system then generates ultrasonic guided waves longitudinally down the length of pipe, distance covered by the ultrasonic waves is dependent on a number of factors related to pipe coating, branch connections, fittings and above ground or buried locations. 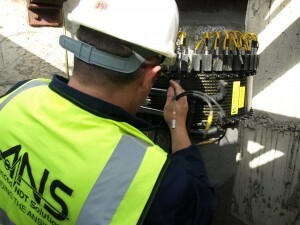 The system can inspect both directions from each inspection location and therefore can maximise production. Guided wave technology is a nondestructive testing method used to locate potential degradation, such as internal or external corrosion and metal loss. 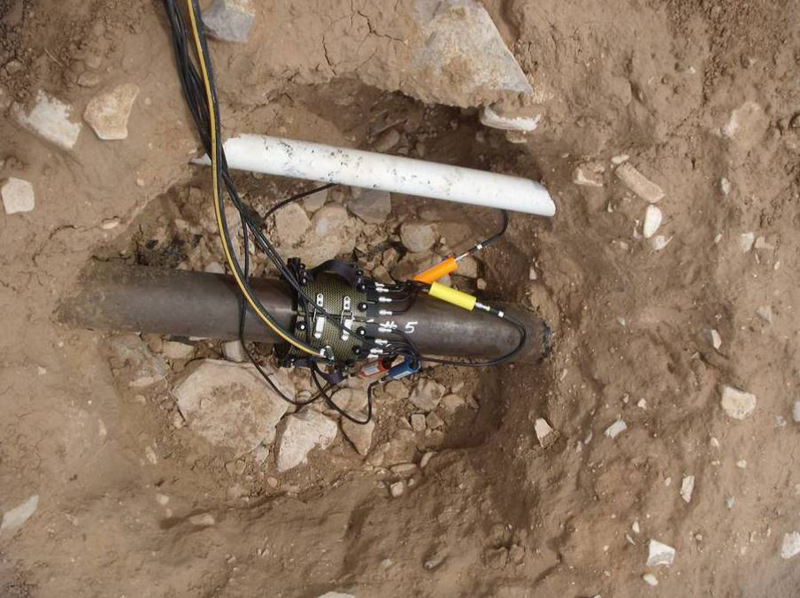 While conventional UT provides localized inspection, underneath or in the vicinity of the sensor location, guided waves are able to screen the entire pipe wall, over tens of meters, from a single inspection position. Then, prove-up inspection needs to be conducted at the specific indication position. Combined with other NDT techniques, a guided wave system will help to maximize the efficiency of a corrosion management program, without compromising data quality. The LRUT systems excites low-frequency ultrasonic waves that propagate in the direction of the pipe, from both sides of the probe collar. Various factors influence the maximum inspection distance: the pipe configuration and environment, the type of fluid inside the structure, and the eype of coating. The propagated otrsional waves detect general variations in the total cross-sectional area of the pipe, as well as changes in the material properties.